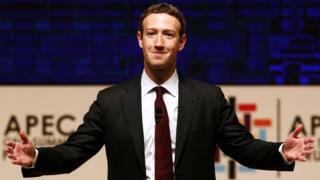 Image caption Mr Zuckerberg said he did not want Facebook to become "arbiters of truth"
Facebook founder Mark Zuckerberg has outlined plans for how he hopes to combat fake news on the site. Facebook became mired in controversy after some users complained fake news changed the outcome of the US election. Mr Zuckerberg posted details of several projects to "take misinformation seriously", including methods for stronger detection and verification. He previously responded to criticism of fake news on Facebook by saying over 99% of its content was "authentic". Can you spot the fake stories? In his post, billionaire Mr Zuckerberg said: "We've been working on this problem for a long time and we take this responsibility seriously." But he said the problems were "complex, both technically and philosophically." He noted Facebook did not want to discourage the sharing of opinions or become "arbiters of truth". What Facebook's challenges over fake news reveal, I think, is that we're in completely uncharted territory. Never has any private company had such immediate power over the way we act, feel, think, date, buy, fight - whatever. There's an urgent accountability gap between what technology companies do and what the public is allowed to know. It's simply no longer enough for Zuckerberg to deny an issue and expect people to blindly take his word for it. Zuckerberg's global ambitions will live or die on his ability to be an astute political operator. The fake news row was a big test, and he handled it poorly - dragging out the issue in the news agenda for well over a week. Mr Zuckerberg said Facebook is currently working on seven proposals to combat misinformation more robustly including methods for stronger detection and verification, and providing warning labels on fake content. Media captionHow can you tell if news is fake? In the wake of the US presidential election results last week, many criticised Mr Zuckerberg, saying fake news on Facebook aided the rise of Donald Trump. 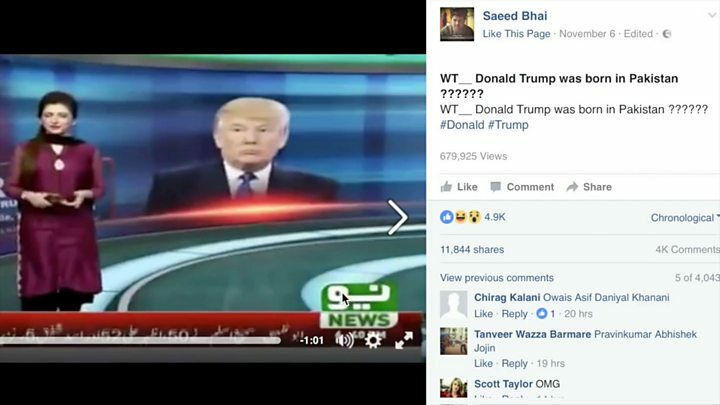 He dismissed the idea as "crazy" but fake news sites are on the rise due to the profits which can be made from web advertising. Fake news purveyors can be enticed away from creating funny satirical content to more believable content because they think it is more likely to be shared. One such story, which was widely shared on Facebook after the election, falsely claimed Hollywood actor Denzel Washington had praised Mr Trump. On Monday, Google announced it would do more to prevent fake news sites from making money through advertising. Shortly after, Facebook made explicit a similar restriction on the use of its advertising network.